For four billion years, one formula summarized global change. That has changed in just four decades, and if we don’t act quickly, human civilization may not survive. A new conservative campaign aims to discredit efforts to define the new and dangerous stage of planetary history, by driving a wedge between social scientists and the Anthropocene Working Group. With Donald Trump in the White House the future for our climate looks bleak, but capitalism’s love affair with fossil energy runs much deeper than the desires and personalities of individual politicians. 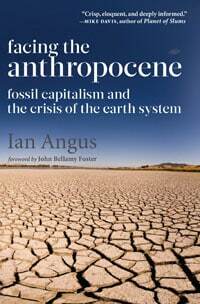 Key conclusion of Anthropocene Working Group report to Geological Congress: the ‘Great Acceleration’ in the second half of the 20th century marked the end of the Holocene and the beginning of a new geological epoch. 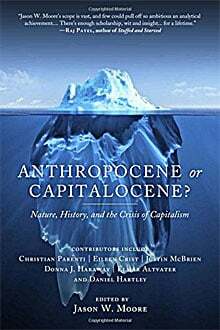 An important history of the Anthropocene updates the classic ‘Something New Under the Sun.’ It describes how our world has been transformed since 1945, but avoids discussing why. 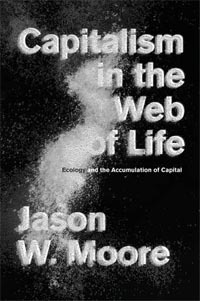 Kamran Nayeri argues that Jason W. Moore’s theories involve major departures from Marxism, and do not themselves provide a coherent alternative approach to understanding capitalism’s impact on the natural world. Fred Murphy argues that John Bellamy Foster misrepresented and unfairly criticized Jason W. Moore in a recent C&C interview about ecological Marxism. Ian Angus disagrees, and explains why he thinks Foster’s remarks were measured and accurate.